Look! Its me! 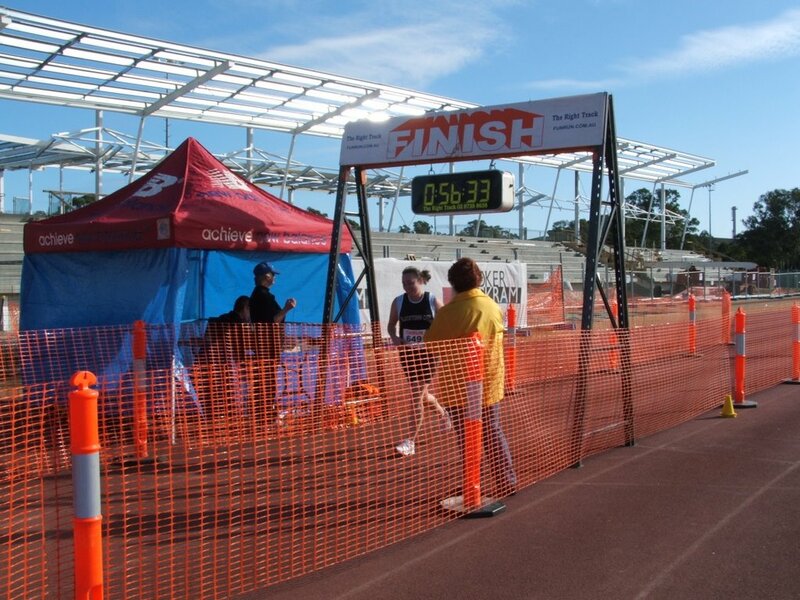 Finishing the Blacktown City Fun Run. 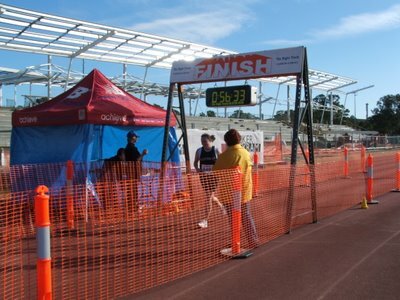 I officially came in 154th place out of 195 competitors with a time of 56.32mins. Quite chuffed really. Wednesday saw a 3km in which I felt crap. Which brings me to two things that pee me off. 1. My eyes water when I run. This makes my nose run which makes phlegm build up in the back of my throat restricting the oxygen intake. And I look silly as it looks like I am crying. Anyone know how to stop eyes from watering? 2. My little legs can just go and go and go. My lungs cant. Is this just a fitness issue? Looking forward to West Met XC this weekend. Hoping to put in a big effort and run strong the entire way. I registered for the C2S today online. I rang my staff club and they have a tent set up at Bondi, so after the race I get food, drink and a massage!!! Gotta love big corporate giants like Westpac! So I have decided sonce my runs are getting longer, well they are supposed to be, that I just cant keep getting up earlier and earlier. So I have decided to start running at night once the kids are in bed. Went tonight at 7pm and it wasnt too bad, not too many cars out either which was good. My motivation had been lacking of late and I had been hitting the snooze button too many times, so I think this will be better for me. Anyway, such a random post but I am feeling energized after my run! Great run, Great Photo, Great Time...wish I had a decent running photo!